Students at Betty Shabazz Academy in Chicago show off Desmond "Des Money" Owusu's new school uniform designs. At issue was teacher pay — specifically, a system that granted certain teachers incentives for working in high-poverty schools or in hard-to-staff subjects. Union leaders wanted higher base salaries for more teachers and more opportunities to work toward a higher pay grade through professional development. The tentative agreement includes a base salary increase, between 7 to 11 percent, and changes to the incentive system. "This agreement is a win, plain and simple: for our students; for our educators; and for our communities," said Henry Roman, president of the teachers union, on Thursday. "This is a strong investment in our teachers — in both their base salary and the equity incentives," Superintendent Susana Cordova said after the deal was announced. "I'm very pleased we were able to reach a deal and in the collaborative way we worked together today. There was a recognition that we share many areas of agreement, and we worked hard to listen and find common ground on the few areas where we had different perspectives." The agreement will go into effect once it is ratified by a majority of union members and the school board. In Oakland, Calif., the teachers union announced Feb. 4 that educators had voted to authorize a strike, although a date has not yet been set. And not quite a year after teachers in West Virginia went on strike, a controversial education bill has educators considering another strike there. College graduation rates are often measured after six years, but this week, the National Student Clearinghouse released numbers on completion after eight years. In those two extra years, researchers found that the overall graduation rate (for two- and four-year schools) jumped from 55 to 60 percent. For Hispanic students who started at a four-year institution, the number of students who got a degree jumped by 8 percentage points. Still, even after eight years, 40 percent of students who started college didn't earn a degree. A new study from Johns Hopkins University suggests living in a high-crime area, or simply passing through one on the way to school, can impact how often students show up to class. "Some kids have a harder time getting to a school than others, not for any fault of their own, but because of the way the transportation system is set up, because of the way crime clusters in particular places," explains Julia Burdick-Will, a sociology professor at Johns Hopkins and the lead author of the study. She and her team looked at how neighborhood crime in Baltimore affects attendance. They founds "kids who are supposed to be walking along streets with higher rates of violent crime are more likely to miss school," Burdick-Will explains. As school choice gains popularity, students are going to schools farther and farther away from their homes. And, Burdick-Will says, "Getting kids to school is going to have to be something that we pay more attention to as we open up [school] choice options." Designer Desmond "Des Money" Owusu unveiled a new clothing line for students at Betty Shabazz Academy, an African-centered school in Chicago. Owusu describes "We Real Cool" as a project that promotes "a true sense of pride, community, high self-esteem, and culture" for students at the school. 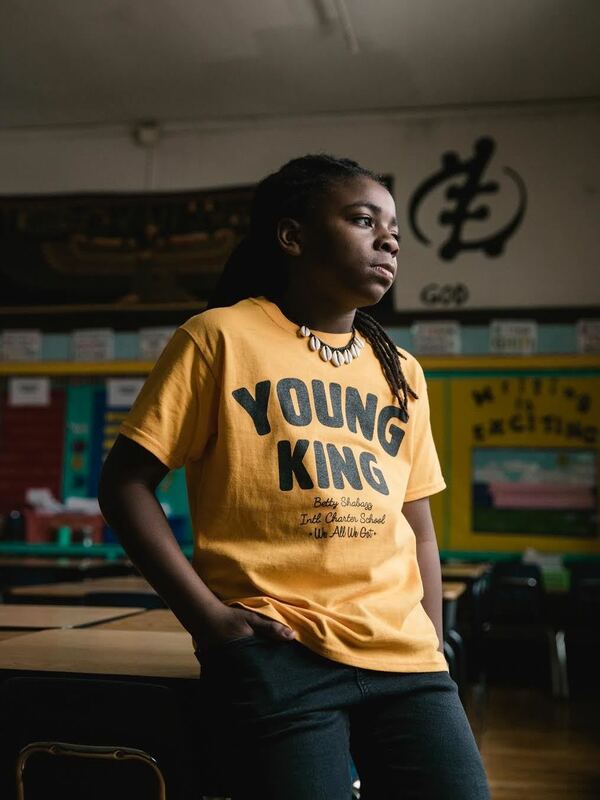 In Desmond "Des Money" Owusu's new line of school uniforms, students will have the option of shirts and dashikis with positive messages like "Young King" or "Young Queen." 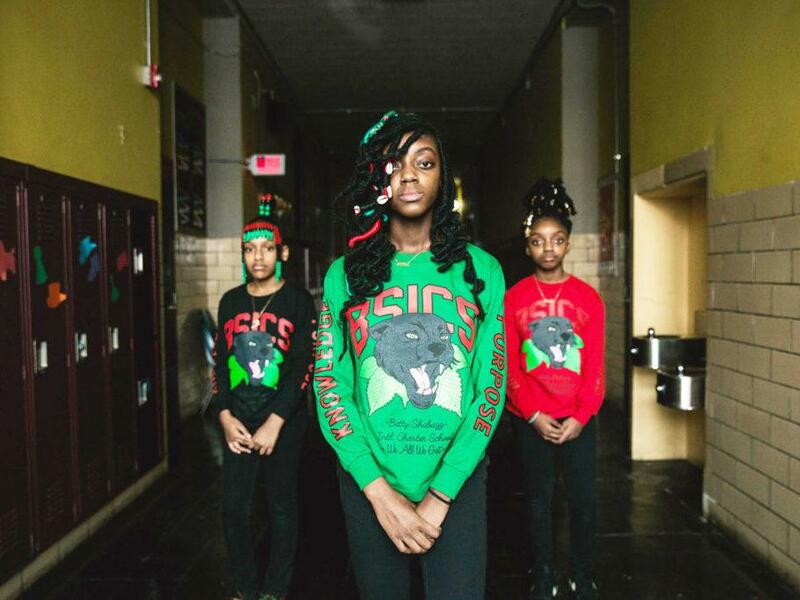 "I thought it would be interesting to see if I could help in changing the narrative of school uniforms from being boring and lame, to something more meaningful, fun, cool, unique, and most importantly, culturally relevant," he wrote in an op-ed in South Side Weekly. Owusu received a grant from the nonprofit Midwest Culture Lab to create a lookbook and a sample collection. But he says he wants to take the project a step further. He's raising money to give each of Shabazz Academy's nearly 300 students two pieces from the collection for the upcoming school year. If students want another item, Owusu says, they can purchase it at a discount, with all proceeds going back to the school and its effort to revamp its performing arts space. Owusu is holding a fashion show later this month, featuring students from the school.